hd00:26World Famous Fontana Di Trevi (Trevi Fountain) In Rome, Italy. hd00:30Tilt and shift shot of Trevi Fountain in Rome. 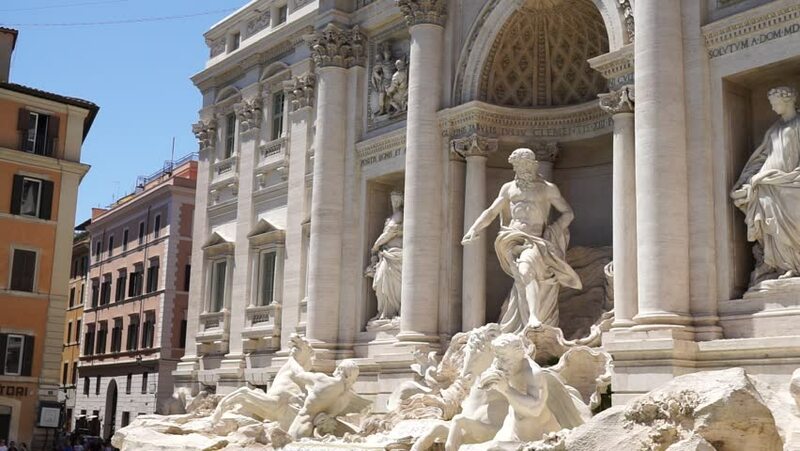 hd00:10ROME, ITALY - MAY 2014: The greatest The Trevi Fountain in Rome, Italy. Shot of the largest Baroque fountain in the city and one of the most famous fountains in the world.